LoA_Collect resources at great discount! 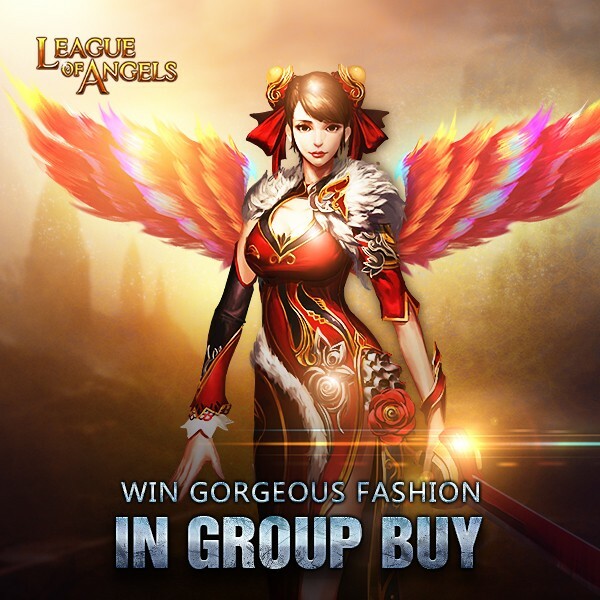 Win gorgeous fashion in Group Buy! The items in this event are the Dragonblood Shard, Phoenix Wings Shard, Ruby Herosoul, Topaz Herosoul, Lvl. 4 Common Gem Chest, Lvl. 4 Superior Gem Chest, Basic Energy Card (50),Element Crystal, Runestone, Blessed Stone, Seraph's Stone, Gem Enhancement Stone, Refining Stone, Aegis Shard, Soulstone, Angel's Tears, Enchanted Ore, Synth Scroll and so on. 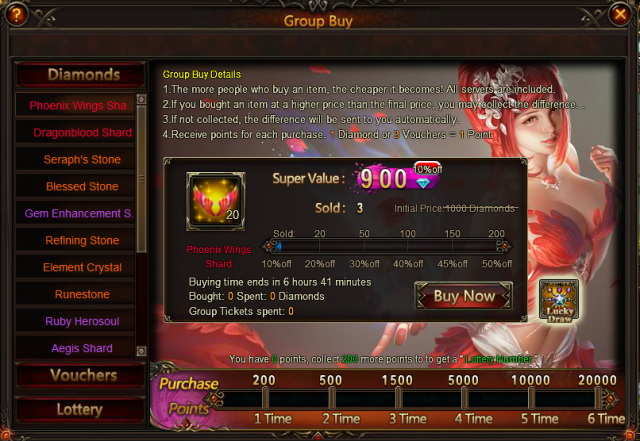 Group Ticket x1000, and Enchanted Ore x150. More exciting events are coming up through Aug 22 to Aug 26, check them out in the in-game How Events menu now!